Nickelback, the most loathed, commercially successful hard-rock band in history? One of the things I’ve learned to love about the digital age is iTunes DJ. The idea of uploading all your favourite tunes for the perfect jukebox is enticing enough. But, as a former full-time music journalist, I’m finding it perfect for enjoying music again. Put on Party Shuffle and let it zip, soothe or roar. All those CDs I’d forgotten I even had, or had never gotten around to listening to, or had only listened to once? Well, now I hear them one song at a time. If I don’t like it, remove/delete. All those CDs I listened to too many times in preparation for an interview (yet still couldn’t come up with an interesting question related to the music)? Hear them with untired ears. Lately I’ve been taken to downloading everything (with a few exceptions. Sorry Celine and any New Country artist) – jazz, world, classical, all the stuff I’ve never had time, or the attention span for. Party Shuffle is the ultimate democratic jukebox; everything gets a chance, and (if you don’t look) you might even find yourself finding you like something you didn’t think you would, just for hearing it out of context and not listening with prejudice (thank you, George Michael). So it was in this spirit that I put on the new Nickelback CD. Let me state right off the bat that I am proud of the fact that I gave Nickelback probably its first review, or one of its first. The Langley, B.C.-based band, fresh from Hannah, Alberta, had hooked up with a Vancouver manager who was quite persistent in pursuing interviews of something called Noise Therapy, another band, and Nickelback. Perhaps I was in a bad mood, or tired of being hounded into listening to something I suspected I wouldn’t like (not being a huge fan of “hard rock”, as opposed to actual rock), but I remember giving both a rather negative review. I can’t even remember being more than annoyed by both, and receiving the only (so far) threat to my health – or at least, that’s how my roommate at the time interpreted the angry phone call she took on my behalf. (And no, it wasn’t Nickelback doing the threatening. Well, we all know that Nickelback went on to sell several gazillion records while I, well, I’m writing this blog post and listening to iTunes. The point being that I downloaded the band’s latest, Dark Horse (wonder if they’re aware of the title’s irony; somehow, I don’t think so) album as though it were something I might want to listen to. Maybe this time, listening with as little prejudice as possible, out of context, without wearing my critics’ hat, I would see something in the music that has captured the minds and hearts of pickup truck-owners across North America. The song that finally came on was “Gotta Be Somebody” (the first single), and I have to say, I was struck by how godawful it truly is. The chorus’ melodic hook is lame and derivative, and the “rock” element paltry and unthreatening. But it was the lyrics I truly couldn’t believe. I won’t write them here, in fear of my laptop committing Mac hari-kari, but they make the words to the band’s inane “Rock Star” hit seem like something out of Kerouac. Okay, that’s my Nickelback complaint. At least for now. Because there are still a bunch of songs that are going to come up sooner or later on my Party Shuffle. 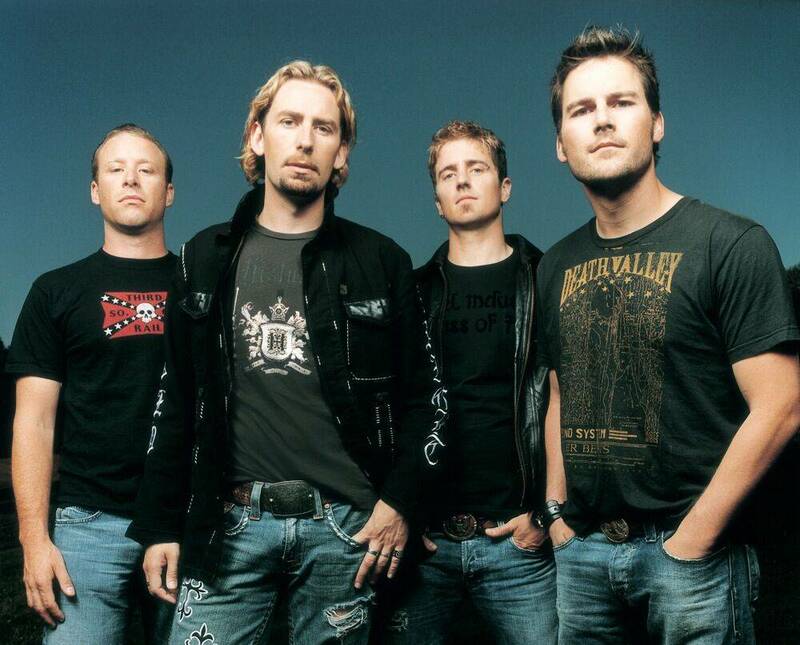 This entry was posted in Opinion and tagged Nickelback, Vancouver bands. Bookmark the permalink.